Wow. Just wow. In typical Blues fashion we somehow managed to race into a 4-0 lead before half time and come away from the game thankful to our goalkeeper for making sure that we did actually win that game. Saturday’s unbelievable 4-3 win at QPR really had it all. 7 goals, a Che Adams hat trick and a last minute penalty save from Lee Camp. Obviously there are so many positives to take from a win at a place where we have really struggled to take anything from in recent years. Goals and Birmingham City haven’t really gone hand in hand the past few seasons. However, this season and yesterday in particular, Garry Monk has turned blues into a free scoring team. I can’t remember the last time Blues managed to score 4 goals in one game in the last five years! One statement that has arisen after Che Adams bagged a treble to take him to 19 league goals this season is if he is that far away from an England call up? Che Adams in an England shirt imagine that. Understandably it is a question that has two completely contrasting answers. Some will say he’s miles away from it. Others though will agree that he deserves a call up after such a stellar season. Personally I don’t think Che is far off at all. Harry Kane and Marcus Rashford are really the only two strikers who are guaranteed a place in the squad these days. In my opinion Che Adams and Bournemouth’s Callum Wilson are the two next best English strikers in the whole of English football. So come on Southgate. Make it happen! It’s important to note, however, that there are slight weaknesses that have been further highlighted in yesterday’s victory, the main one being our inability to close out a game, especially away from home. To go 4-0 up and almost blow it is not great at all. We have leaders on the pitch, Dean, Morrison and Gardner to name but a few but at times these leaders need to take a bit more control I feel and help to prevent throwing away the three points. Yes of course we won yesterday but an inability to close out games is something that can cost a team big time. Blues are playing brilliantly and putting a smile on everyone connected with the clubs faces but this is an area that needs to be worked on if we are serious about returning to the Premier league in the near future. Nikola Zigic. A cult hero at Birmingham city, the towering Serbian striker was a massive success during his 5 year spell at the Club. Signed by Alex McLeish in May 2010 from Spanish giants Valencia, Zigic went on to win the Capital one cup final against Arsenal in his first season, scoring the opener. But I don’t want to talk about his blues career. Everyone knows about it and THAT goal against Villa. I want to talk about what Nikola Zigic meant to me. Relatively new to the blogging side of things, many of you will not know a thing about me. Originally from England and back home now, I have spent the majority of my life living north of the border in Scotland. As you can imagine not many kids support Blues in the North East of Scotland! Celtic, Rangers and the Top 6 clubs in England really was the order of the day. Birmingham was just a place in England to many, a place that many struggled to pronounce let alone know much about the football team! After all, Blues spent most of my high school years in the championship avoiding relegation on the last day of the season. Who in their right mind would want to support a team on the verge of league one? But support Blues I did. My dad, a bluenose for all his life, would always take me to St Andrews a few times a season. The atmosphere, the stadium it’s something I will never fall out of love with. The first time I entered the ground I instantly knew that this was a proper football club and that the fans are the real deal. This was football and I loved it. These trips really strengthened my resolve to wholeheartedly support Blues and not become a glory hunting Man City fan or a recently resurrected Liverpool supporter. But still how could I get people to take note of blues? Well it turns out I didn’t actually need to do anything. Nikola Zigic did the talking for me. The 2010 World Cup in South Africa was the first World Cup I can remember. Scotland don’t really qualify for tournaments but World Cup fever was still in full swing. Blues new summer signing Zigic of course played for Serbia at that world cup and finally Blues were back on the world stage! My friends began to suddenly sit up and take notice of blues. 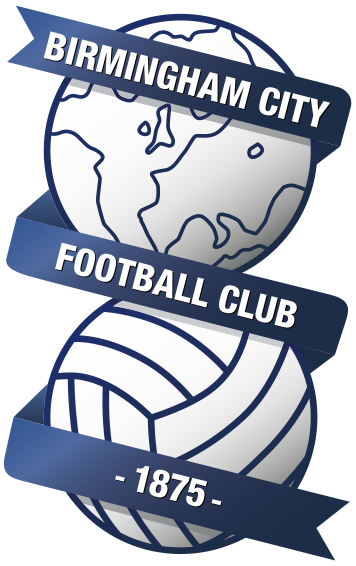 The season after the World Cup, our most recent in the premier league, Zigic and the heroic win against Arsenal at Wembley in the cup final took blues to another level! “Can you take me to a Blues game Theo?”, “What’s Keep Right on?” Suddenly I wasn’t that kid who supported some “small” team! Nikola Zigic really was the first real “superstar” player I can remember playing for Blues. I am 18 now and in all my life I don’t think I’ve celebrated as much when Paul Caddis scored that last gasp equaliser to keep us up at Bolton a few years ago. Nikola Zigic scored that day. 2-1 against the Villa in the Quarter final of the league cup. Nikola Zigic scored that day. A cup final win against Arsenal. Nikola Zigic scored that day. A big game player, the Serbian was my first real footballing idol and one who propelled Blues from some random club to a proper football club with my mates in Scotland. 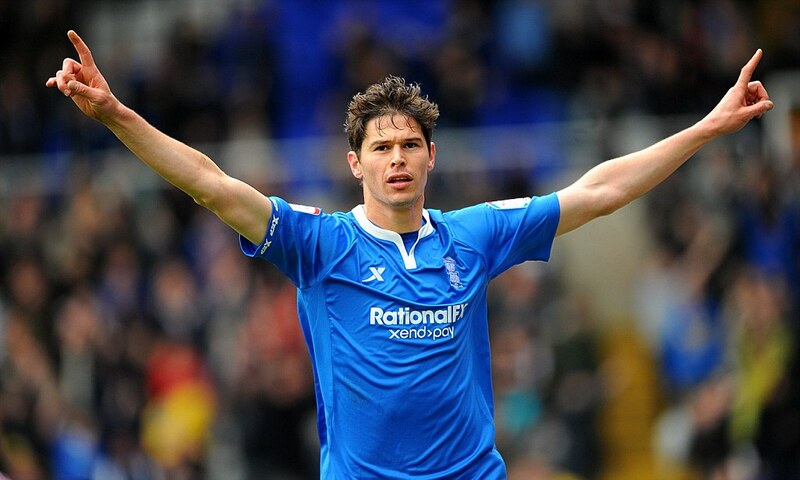 Nikola Zigic I salute you!